Ok so we've all seen this like a gazillion times before. Everything from malicious aliens and zombies to the end of world disasters happen in the US. 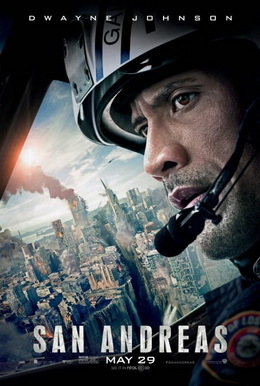 Starts with Ray (Dwayne 'The Rock' Johnson), a rescue copter pilot, in the midst of a cliff-hanger (no pun intended). Ofcourse like most of other movies of the same genre, Ray is one half of a divorced couple and a doting father. And predictably, his estranged wife is already with another guy who abandons the step-daughter in trouble. Meanwhile, a team of seismologist discover it is time for a mega-quake which will rearrange the West Coast. San Andreas doesn't tell you anything that Volcano and 2012 doesn't. This movie probably reinforces the belief that Americans living in America are probably the most afflicted people in the world. The theatrics and the scale of destruction is truly astounding. Unrealistic but still astounding. Where San Andreas shines is in it's actors. Chiefly Dwayne does a really good job and is really coming of age with San Andreas. Contrary to his previous outings, where he mostly grunts, and flex his over-sized bicep 3 times too many, here he shows emotions without looking contrived. 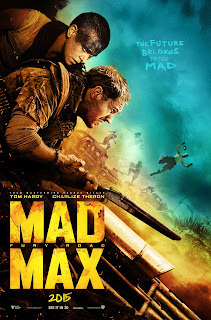 Though the movie is filled with disaster/apocalyptic movie cliches, it is always good to see actors try something new, so watch this movie if you are sucker for movies like this and Dwayne Johnson.